Having seen the excellent TV series, I'm disappointed by the novelisation of Middlemarch. George Eliot's book lacks the rigour and economy of Andrew Davies' original. Long authorial interventions ruin the immediacy and the balance between the characters of Lydgate and Dorothea has been lost. A brave attempt, but the adaptation begs the question posed by To Play the King: why reduce a good television series to a lesser book? If this inversion of the usual literary bias doesn't seem entirely absurd, it's a tribute to the quality of British television drama. We often overestimate the international appeal of our output (it doesn't sell so well abroad) but there is little doubt of the medium's importance to our national culture. In Luton and Latin, from Breakfast Time to the Late Show, television is a central part of the dialogue we have with ourselves. And if one dramatist had to be thanked for high esteem of the medium, it must be Dennis Potter. The works Potter is hurrying to finish before his death, Karaoke and Cold Lazarus, will be his farewell to the form he shaped so much and to which he devoted his life. They could also be a long goodbye to the writer's eminence in the industry. Potter is recognised in the street, vilified in the tabloids. His plangent voice, mesmerizing in his last interview with Melvyn Bragg, has amused and accused on the broadest platforms. Potter has put television writers up there with the best of them and will be considered, without doubt, along with Pinter, Betjeman, or Amis as a key figure in postwar British writing. Less certain of survival, however, is the peculiarly British tradition of the TV author he helped invent. Script writers abound on television, but an author, one who originates form and content is a rare breed. Even the most successful writers today such as Andrew Davies or Lynda La Plante tend towards the adaptation of books or work within fixed genres such as the police or detective serial. For all their merits, To Play the King or Prime Suspect have not shaken the boundaries of what television drama can be. Anyone watching last week's BAFTA ceremonies would have heard writers constantly praised. They would have been hard-pressed, however, to spot one between the anonymous executives and famous actors gathered in Drury Lane. Appropriately, the awards for Best Drama Series and Best Single Drama, won by Between the Lines and Safe, were collected by the programme producers. Here I must declare an interest: a lurking desire to fluff a BAFTA acceptance speech. Having written for stage, radio and print, I know that TV writing is one of the least respected forms. I also believe that, in technical terms, it is one of the most demanding. The closeness of the camera shows up any falsity of dialogue or character. Meaning has to be conveyed in action and, though it remains unseen, a good script should read like a good novel, the visual storytelling and mise-en-scène setting the rhythm for everything the actors and directors do. Despite this, in financial terms, the writer is near the bottom of the heap. TV drama costs about half a million pounds an hour and the script is usually a small fraction of the budget. Writers can be jettisoned at relatively little expense, while an aberrant director or star can lose millions. This leads to a strange twilight existence for TV writers: long bouts of waiting-around interspersed with moments of panic. Over the last five years I've 'developed' six original screenplays or pilots. These I've had months to polish. They represent my best work, calling cards for new commissions. All remain, largely due to external reasons, unproduced. In contrast, last minute production decisions create the opposite problem when writing for existing serials. In just over a year I've completed seven scripts - most in less than a month. Many blame the decline in the writer's profile on the demise of the single play. ITV has almost entirely dispensed with one-off dramas, and the BBC has transmuted them into high cost, director-led, producer-controlled 'screenplays'. When Potter started out, a dramatist could hone his or her skills in Armchair Theatre or Play for Today at relatively little cost. Today's aspirants either have to survive years of high casualty 'development' or cut their teeth in genre formats. Whatever the merits of The Bill, or Brookside or Casualty they are not the ideal grounds for experiment and, increasingly, storylines are provided by script editors, storyliners, producers or executive producers. In such an environment it is easy to become just a writer of dialogue and fail to take responsibility for the entire shape of a piece. It would be wrong, however, to suspect a managerial conspiracy. The single play has been largely abandoned because the audience abandoned it. If the demand was there, ITV would fill its schedules with single plays (just as, if it made films the public wanted to see, the British film industry would not be in such a poor state). Besides, even in its heyday the studio drama was a strange hybrid between stage and film. Series such as Z-Carsnurtured as much writing talent and the most original television writing has been in serial form. In Potter's case, his two greatest achievements to date are both serials, Pennies from Heaven and - still unsurpassed for narrative brilliance - The Singing Detective. Television's great dramatic innovation has been the series or the serial (who cares which - most the audience don't). The recurrent slot, the sense of development and repetition, is unique to the form. 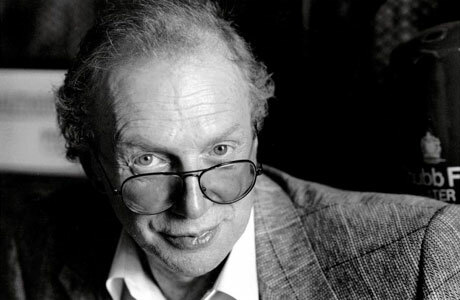 Trevor Preston has called the series the 'television novel' and to this extent Andrew Davies is the best contemporary representative of George Eliot. The popularity of the Victorian novel, with queues forming for the latest weekly instalment of Dickens in Household Words, is much closer to Shepherd's Bush than Bloomsbury. But the novel is a solitary form and drama, by definition, is collaborative. For every new Alan Bennett, Bleasdale, or Debbie Horsfield, are ten dramas whose authorship is unknown or dispersed among many. This needn't necessarily dilute the quality. Both Morse and Cracker owe their origin to a number of hands and in America, where authorship is even more nebulous, team writing is the norm. The result is not always writing by committee. On the contrary, in recent years, imports such as LAPD, Twin Peaks, thirtysomething, or Hill Street Blues have shown more narrative innovation than home-baked material. One has to go back to Boys from the Blackstuff or Edge of Darkness to find a British series at the cutting edge, changing the way we tell our stories as well as the stories we tell. When people complain about the decline in television authorship, therefore, they actually bemoaning a general lack of originality and invention. Budget and production values may have increased, but so too have the number of formulaic lego-built dramas. This sense of sameness and caution is not a mystery. It has a simple explanation: the massive concentration of commissioning power in a few hands. Despite the flourishing of independent companies in the 1980s, the apparent diversity conceals a sharp and disturbing centralisation. You may now devise a project with any number of small companies, but it can only be given the go-ahead by an decreasing circle of people. The base has widened, but so have the decision-making layers, each layer trying to second guess what the one above will say. At the top, the pyramid has become almost perfect. The decision what millions will watch every week is effectively taken by only four men. In any other industry this structure would come in for some kind of investigation. No matter how brilliant these four men are, how broad their minds, diverse their tastes, such a funnelling of the cultural power must be inhibiting. Ironically, it was the Office of Fair Trading that imposed the central commissioning and scheduling Network Centre on ITV. The BBC has no such excuse. Ever since El Dorado drama has been make or break for BBC controllers so both Yentob and Jackson patrol the commissioning process ferociously. Like cold war enemies locked in combat, BBC and ITV have begun to resemble each other with the same mad monolithic structures. In this climate, authorship, like authority, is the prerequisite of a few. How can writers feel responsible for their work when producers, their executive producers, even their heads of department can't feel responsible? Like so many other apparent 'reforms' in health and education, deregulation in Television has disguised an increase in control from the centre. Perhaps it's a perverse tribute to the cultural importance a writer like Dennis Potter gave to the medium that the government has done so much to stifle it. But it's a tribute we can do without.